There is a great program of talks and workshops for this year’s State of the Map, but as people gather from around the world we want to help you make the most of this in-person time together. To help you travel stress free we have added useful info to our website. For example, once in Milan, the easiest way to get to State of the Map is to take the M2 (green) subway line to Piola. Flying in to Malpensa Airport? 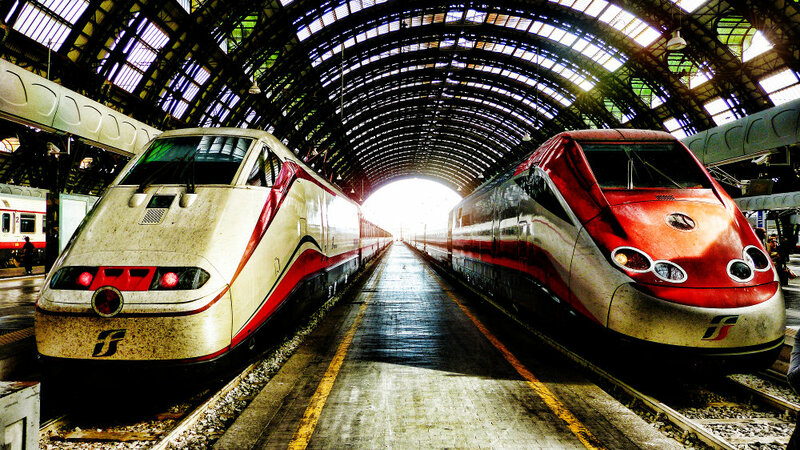 Buying tickets online saves money only if you buy a Malpensa Express Return Ticket 30 Days – you pay 20€ instead of 26€. The departure and the return journeys can be made within 3 hours of the time of train you select and the ticket is sent to an email address. OpenStreetMap communities form an integral part of OpenStreetMap. We interact online throughout the year but seldom have an opportunity to meet those that live far from us. As we come together at State of the Map we have made the attendee list available to help you make connections, meet old friends and form new ones. Check out the program for this year’s selection of talks. Perhaps something new has happened since the deadline for proposing talks, perhaps you didn’t have the idea quite worked out. Throughout the 3 days we have spare rooms for you to host a break out session (Birds of a feather session). And on Monday we have some extra Lightning Talk slots available. These are quick five-minute talks that don’t need to have slides. You can sign up for both by visiting the registration desk at State of the Map. Keep an eye on the board to see what other people have added; you wouldn’t want to miss something amazing! Not able to attend this year’s State of the Map? We will be live streaming the main rooms throughout the event. Keep an eye on our website for the links. You can also follow us on Twitter @sotm and use the hashtag #sotm. And new this year, we have created a telegram group for the conference. Join us here. This entry was posted in State of the Map on July 22, 2018 by OpenStreetMap.